There are many K-dramas that attempt to surprise us, and many times we can see it from miles away. You know the one where the hero fakes his death only to come back, or you know he’s not really dead because there are two episodes left, and you can’t kill your hero off before episode 16? There was one show that I didn’t see it coming–at all–until it actually happened. It’s one of the few dramas that I felt have used the elements of death and resurrection extremely well. Because of how well the drama handled these elements, the show catapulted itself into my top five K-drama list. Circle is a drama that will be hard to top in terms of its storytelling ability. The show wove two timelines together seamlessly and it deftly used non-linear storytelling to its advantage, telling a much bigger, more emotional story with a tight narrative. It did what I feel the recently-aired Memories of the Alhambra tried but failed to do with its narrative and plot. Memories also had a non-linear narrative but I felt more frustrated than engaged by the story. While watching Circle, the whiplash I initially felt going back and forth between the present-past (the year 2017) and the future (2037) did take getting used to. In the present-past, we met the main characters: Byul, Woo-jin, and Bum-gyun, who served as the axis that the show revolved around. Initially, the viewer is led to think that Byul, or our “alien,” is the key to the mysteries behind the missing twin Bum-gyun–and that Woo-jin (played by the talented Yeo Jin-gu) is befriending the person that may be causing his twin’s disappearance. Then there was Joon-hyuk, a resident of the future dystopian society set up as “Smart Earth.” He was investigating the disappearance of a man he believed might be his twin brother. We were in the dark about who Joon-hyuk was, and deepening the mystery was the fact that Joon-hyuk had amnesia and didn’t quite know who he was either. Viewers had to piece together clues from both timelines to figure out the truth of Joon-hyuk’s identity. But that wasn’t the only mystery we needed unravel. We also had: an alien to find, a hacker who was disrupting the status quo to catch, a missing researcher to track down, as well as one twin in the first time line, and yet another twin in the second time line to reconcile. Where this show shined, and where I was personally floored, was when both time lines collided into each other. There was not a single person on Dramabeans who correctly predicted how Woo-jin would be found in 2037–waking up from a coma. But it wasn’t the true Woo-jin, he was a clone, who only remembered things as they were on 2017. Clone Woo-jin woke up still searching for his missing brother. All the while, that missing brother was desperately running towards him in the future. From that point on, we were rooted in 2037, with the brothers fighting a common evil. It was very clever and I have yet to see another K-drama plot twist that compares. Because the Woo-jin who woke up in 2037 was not the original Woo-jin but his clone, the show played out questions of who a person is fundamentally. Are a person and his clone the same person or different individuals? If they have the same memories, love the same people, are they essentially the same person? But at the heart of the story was a love between two brothers who couldn’t let go of each other, no matter whose memories were erased or whose bodies were decaying. As if that wasn’t enough, the very last five minutes gave us a plot twist teaser because the “alien” was a red herring all along. We never find out how she even came to be, how she found herself on Earth, and what her purpose was originally. And this is why I continue to entreat the drama gods for a Season 2. Well played, Show, well played. But you’re right, a truly fitting ending to our plot twisting month! And now you can all see how amazing our DB editors are! Yes, forget Circle - this is the greatest plot twist of all time! Well now that it has been posted here, and on Ally's blog, does this mean it was cloned? Are they the same? Which one is real? 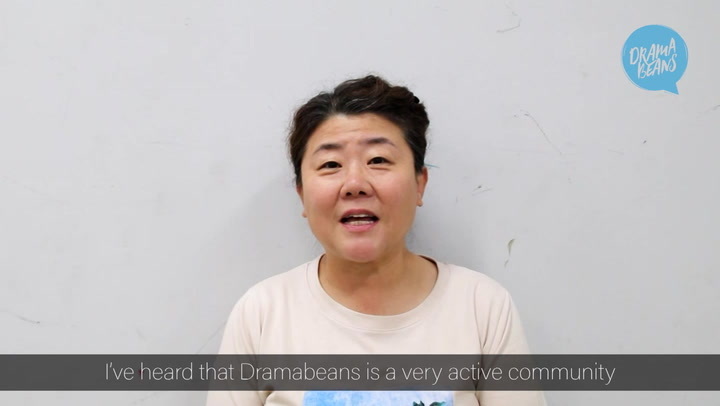 Dramabeans is just messing with us now. Tell us, @ally-le, is the only way to find out the answers to @egads’ questions is to time travel 20 years to the future? All this will be forgotten in 20 years! No, the clone manifested itself just an hour or so after the original. Version 2.0 is much better too! I guess you could say my hope of this being published died only to be resurrected at the 11th hour! Eat your heart out Woo-jin! They are both equally valid and should be treated equally. Philosophically speaking, they are as worthy as each other. Actually I've just been reminded that Farscape did this plotline a looong time ago now. Crichton was cloned and his clone was given his memories and there was no way for anyone to tell which was the original and which was the clone. There was a love interest involved and one theme was "him" wanting her to realise that he was the "real" one. Whereas to her they were identical. They were the same man - there were just two of them. You're partially correct. He wasn't a clone - they were split in two. I specifically remember this conversation. Wow, a Farscape fan! Were you ever part of the Farscape discussion group? Me too. Probably not? I was a Farscape agnostic for a long time, although I was so sci/fantasy deprived I did watch it. Then at one point the show just clicked for me and I suddenly realised what the whole thing was about. And after that I loved it to bits and was gutted it was cancelled. What a crazy crazy show. @leetennant I hesitate to mention, but I seem to be in the minority here...probably Farscape (and too much obsession with all sf) was the main reason I wasn't surprised at the "twist". Clones are fairly standard in sf. Hell, all of you beanies inspire me to try writing. Unfortunately, I've been working as a technical writer for so long it's hard for me to create sentences with any sort of feeling and not just the facts. But I digress - I did like this show and how it explored what it is to be a human being. Then again, isn't that what we spend our lives trying to figure out? Anyway - congrats on getting published!!!!! I write down facts in minuscule detail all day everyday. Creative writing is how I stay sane. I’m literally laughing out loud now! 😂😂😂 Thank you, DB, for posting my piece! I had given up. Way to make a girl sweat. And now, I will lay to rest my “Circle” quest. How about you, @leetennant? I can't stop giggling. Seriously. But now I am re-inspired! It is possible! I will get a Circle published too! Where's next month's theme?! PS - funnily enough, this nearly happened to me with my Pot Plant piece. I was only an hour or two away from self-publishing when it went up. I’ll be your loudest supporter if you do write another one! And I wrote this as a reply to you the last time I had something published that mentioned Circle. Man, I’m too obsessed. Whenever I hear about plot twist this is THE TWIST that comes immediately to my mind. Great writing @ally-le. I wouldn't have been able to write more than 2 sentences! Kdramas solidified themselves as quality entertainment for me with this plot twist. It can be done and done exceptionally well! This was the best show ever, the actor performance and everything else was so much above. I was absolutely mindblown by this drama. Every single episode took my breath away. I had so many theories and none of them came close. Never did I expect Woo Jin to really die. I thought he couldn’t because the entire beta project runs on his biological composition. I knew clones will come into the story but not like so. I thought the evil guy wanted to set up a human farm like in Matrix. (Which would be fine but unoriginal) I didn’t expect the clone to have Woo Jin’s mind and memory. Now that’s truly creative! Was it ever explained why the blue bugs made some people take their lives, but not others? Park Min-young and Bum-gyun both had the bug at some point but neither of them were leaping off buildings. What gives? It is implied that the bug was used to collect and/or modify neuro activity. The suicide side effect is likely similar to drugs like antidepressants and other neuropharmaceuticals. Episode 11 really floored me with how they actually connected the two timelines together without resulting to time travel. When I found Woojin waking up from that coma and I thought, "Oh wait he's alive??" Then Woojin walks down that familiar staircase from the previous ep and I was like, "Oohhh I now see where this going... [email protected]$#[email protected]!" 🤯 I was totally blown away. I can't believe it's been almost two years. I’m glad you like it! I figured you would write one too! Yoo Jin Goo is amazing. I can’t imagine anyone else pulling off that stairwell scene! I'm not that good in writing out my thoughts ^^; But I'm really happy to have read your take on it! And you've expressed it even better and far more articulately than I ever would, so thanks again! Yes, Circle is one of my fave works of Jingoo. Everyone's really great in it. Even if the drama wasn't popular, I'm glad that most people who have seen it enjoyed it.